At LARP Distribution, we carry a variety of camping gear suited for live action roleplay and historical reenactment. We offer versatile tents that work for LARP and medieval reenactment, and we also carry historical Roman reenactment gear that will add authenticity to many outdoor camping set-ups. Our camping gear is essential for creating an immersive experience in between LARP battles and during reenactment events. 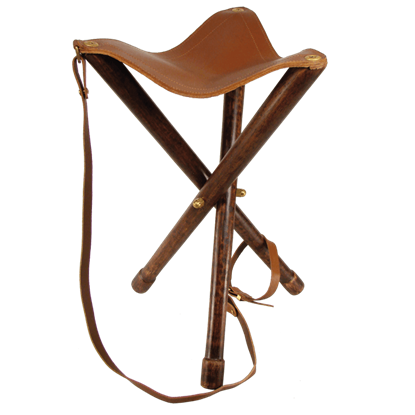 Our canvas tents are also great for Renaissance fairs and other outdoor occasions, and our leather and wood folding stools work well for any number of settings. 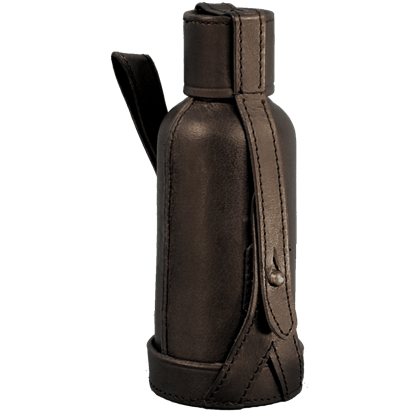 Make sure you stay hydrated by keeping water or your favorite beverage close by with this very nice looking leather bottle holder that comes with a 600 ml aluminum flask that features an Epic Armoury logo. 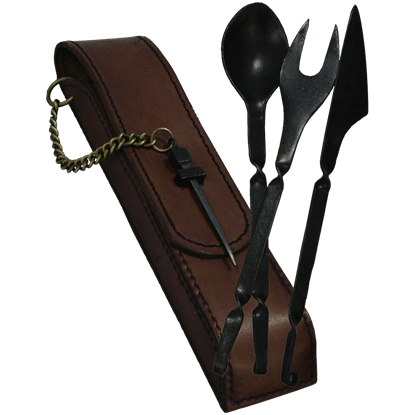 Whether you are at your local Ren Fair eating turkey legs or having a cookout with friends at a reenactment, this cutlery set is the perfect take along to any Medieval or Renaissance feast. The set consists of a spoon, fork and a knife. 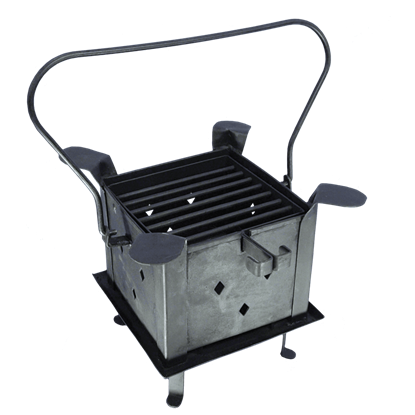 The Romans liked to do things efficiently, and so while others were building in-ground fire pits, they were constructing portable ones that made it easy to set up and break camp. This Roman Fire Pit is a modern recreation of that. The Saxon Tent features a design often used by traders and farmers with an awning covering the front opening. 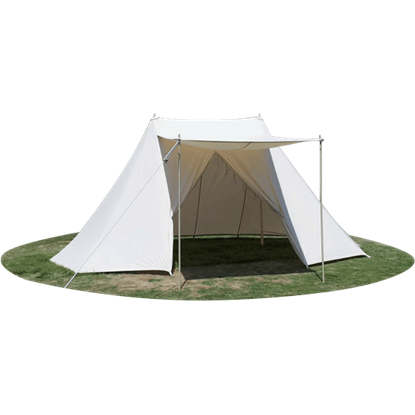 A pair of poles give this historical tent a larger interior space, making it a great choice for camping in period style. Experience camping in historical style by heading into the great outdoors with the Square Knight Tent in your pack. 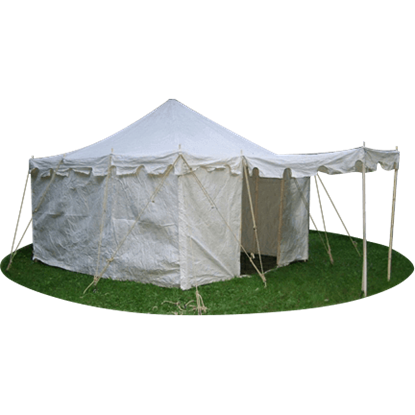 This square center-pole tent features a front awning, making it an excellent choice for Renaissance fairs. 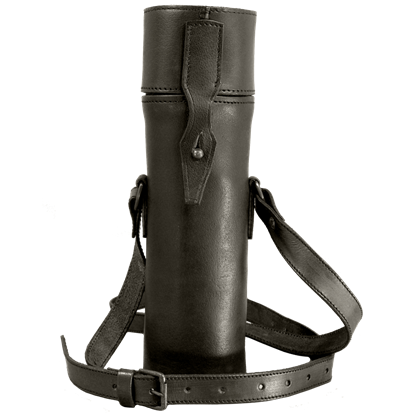 Our leather thermos holder comes complete with a 1 liter black thermos. The thermos is made from stainless steel and is just what you need for a long day at the fair or after a battle to keep your favorite beverage handy.